Happy anniversary to those of you who had summer/early fall weddings! 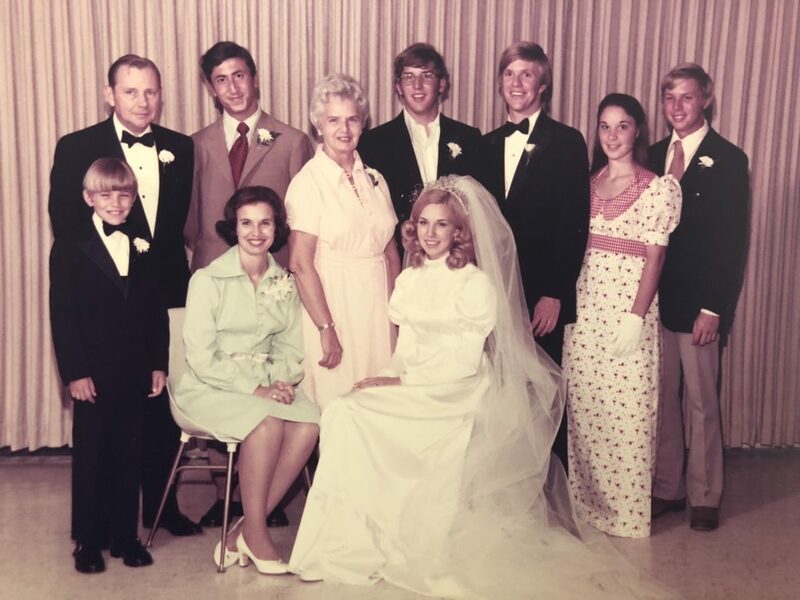 That number includes five of my six children; Deborah and Jason celebrated 14 years on October 13th; Dennis and I celebrated 46 years on September 2nd; and today is the two year anniversary of my youngest, Laura and her hubby Josh. 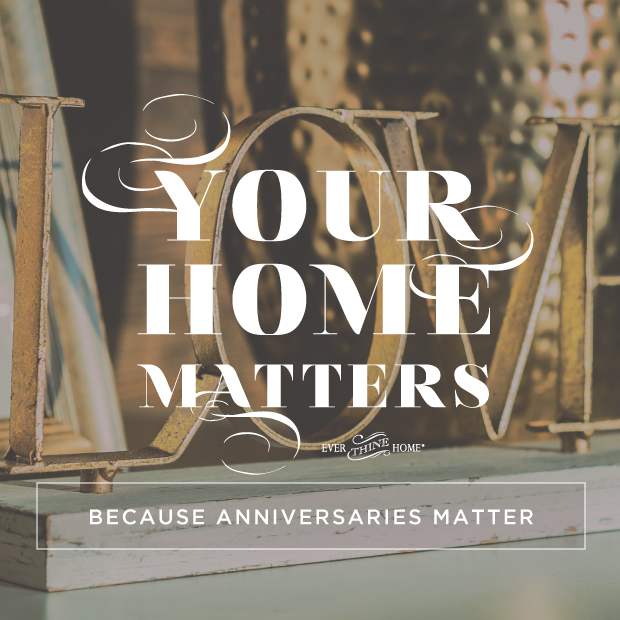 Celebrating anniversaries matter because marriage matters, so I hope you will mark your day of remembrance with something creative, or meaningful that says, “You are still the most important person in my life!” Creative ideas to follow but first! Or did you know the Bible story begins with a marriage and ends with a marriage, which more than hints about what matters to God? Your marriage and mine are all about a wedding and a marriage yet to be that will overshadow the most glamorous, glorious weddings of any of the royals, (see Revelation 19:9). Knowing my marriage is a picture of a future one makes how I live today and how I celebrate our anniversaries very important. It means yours is eternally important, too. Therefore, the stability of my home depends on the health and worth of my marriage. 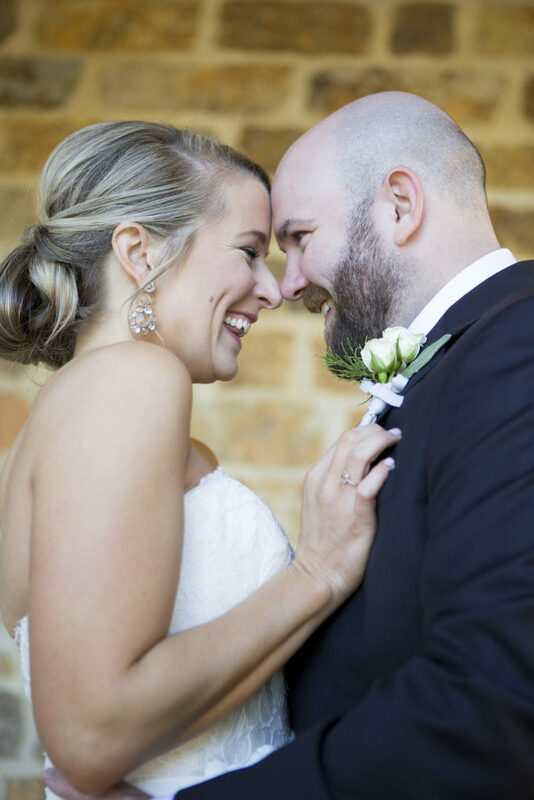 Going back to the wonderful day of your wedding, do you remember the joy and expectancy of that day? The flutter of hope, the joy of seeing your bridegroom for the first time in your wedding clothes? The sight of your bride dressed in glittering white? There is something magical and captivating about weddings. Your wedding was a hint of the one to come. Here are a few reasons why. 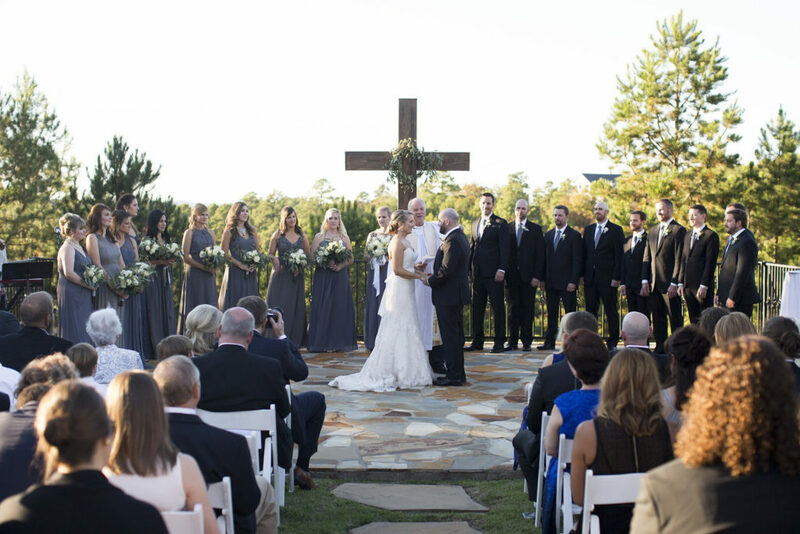 A man’s request, “Will you marry me?” mirrors Jesus’ offer of eternal life with Him. Both questions demand an answer. An engagement ring reflects the price paid by Jesus for us, His bride, by His redemption sacrifice on the cross. 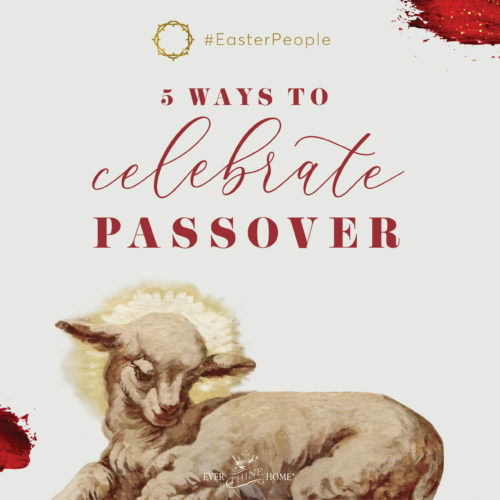 In Jesus’ Jewish culture an engagement was sealed with a glass of red wine by the groom’s father. So too our acceptance of God’s proposal, made possible by red blood from His Son, is sealed by the Holy Spirit. We cannot become unengaged to our Savior. The waiting time between the engagement and the marriage ceremony resembles our anxious and excited waiting for Jesus’ promised return for us someday. A glittering white gown represents the purity that will be ours on that wonderful Day and is like the “fine linen, bright and pure,” which will clothe the saints, the bride. Exchanging rings mirrors the exchange of gifts that occurred when covenants were enacted in the Old Testament. “Naked and not ashamed” was true of Adam and Eve in the first marriage and will be our reality at the marriage of the Lamb. I don’t know about you but I long to be once and forever rid of shame! Once married, our husband-wife relationship continues to show the unseen relationship between God, the Father, and His Son, Jesus. Our marriages also show the relationship of Jesus to His bride, which is those of us who believe. A husband who sacrificially serves His wife shows her, his children, and anyone else who sees what our Savior’s love is like. A wife who helps her husband in love demonstrates the work of the Holy Spirit. 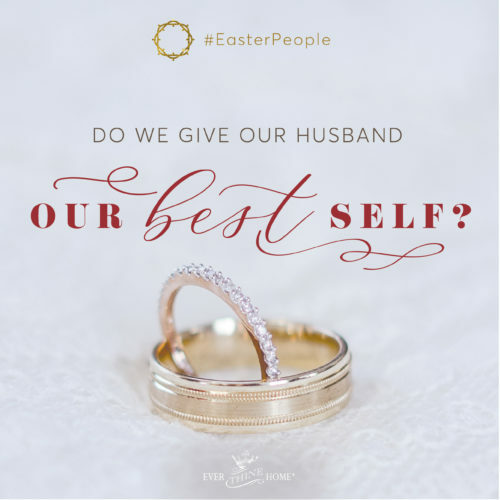 A wife’s willingness to follow her husband’s lead mirrors the sheep Jesus called to follow Him in John 10. A husband’s loving desire to understand his wife is like the gentle Spirit of God who is our counselor and friend. This matters because your home’s stability and health depend on this God-created design working as He intended. Of course, we will make a multitude of mistakes. God knows that and doesn’t expect perfection. Instead, He has given us His Spirit to guide us, strengthen us, and help us do what we are totally unable to do on our own. 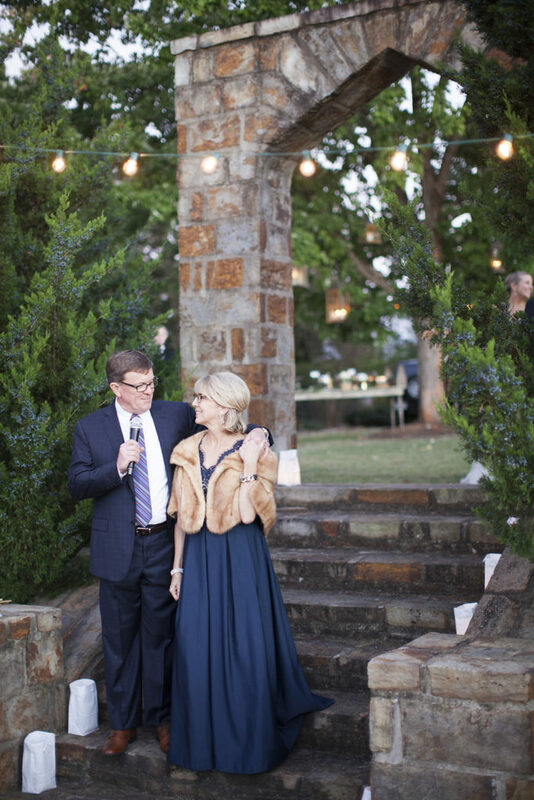 As Deborah said to me of her fourteen year marriage, “It’s all grace,” and that is true of us all. Because of this eternal love story and God’s relentless pursuit of our heart’s welcome of Him, our marriages point to Him and the imminent marriage of the Lamb! 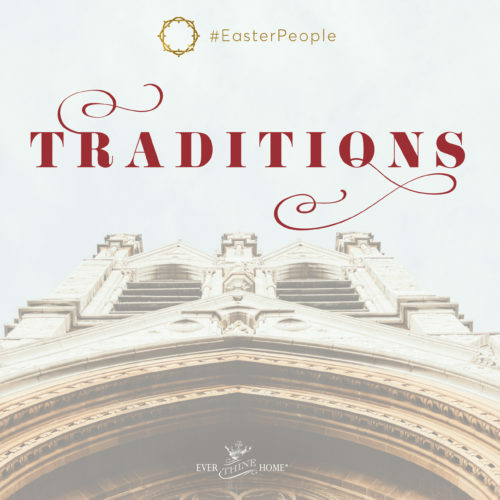 Even our less-than-perfect, frequently-discouraging, sin-plagued marriages speak to the betrothal and eternal Love story the Father and the Son have been enacting since the beginning of creation. God’s supernatural, “all things work together for good” still transforms husbands, wives, and marriages even today. Promises kept today remind us of His promises that never change. So make much of your anniversary this year! Some friends of mine have created new ways to celebrate anniversaries with the traditional list of gifts; paper for year one, cotton for year two, leather for year three, etc. Try one of these ideas for a creative twist on celebrating your next anniversary. Give a box of beautiful stationery, with a love note from you on the first sheet. Buy a pair of high-quality cotton robes and wear them for a relaxed day of snuggling. Give the gift of new leather luggage … complete with an itinerary for a romantic getaway. Celebrate all year long with a fruit/flower-of-the-month club. Buy our wooden We Still Do plaque, take a photo of the two of you and post it with the hashtag #WeStillDo, joining hundreds of others pledging to stay married forever! And because we are celebrating an anniversary today, use code “WeStillDo15” at checkout* for 15% off any We Still Do Product found here. *15% off discount must be entered in the “discount” box at check out. It is not automatically applied and cannot be added after your order is processed. Discount ends 10.25 at 12:00 pm CST. Thank you so much for this devotional. As of Christmas Eve, we’ll have been married 10 years but when people ask, we tell them, “We’re working on 50 years!” to remind us and them that we’re in it for the long haul. So, with that in mind, when tempted to be short with each other, to hold grudges, to be easily offended, we’re encouraged to seek grace instead. I’m sad that we only have 40 years left…. btw, we figure everything over 50 is icing on the cake … and WE LOVE ICING!